re:iimmune is an isotonic, patent pending oral solution that combines 40 years of hydration science with the latest advancements in gut immunity. Combined with a package of essential nutrients, including one prebiotic and 3 probiotics to help support intestinal immunity. This unique dual-action formula helps support recovery from illness. 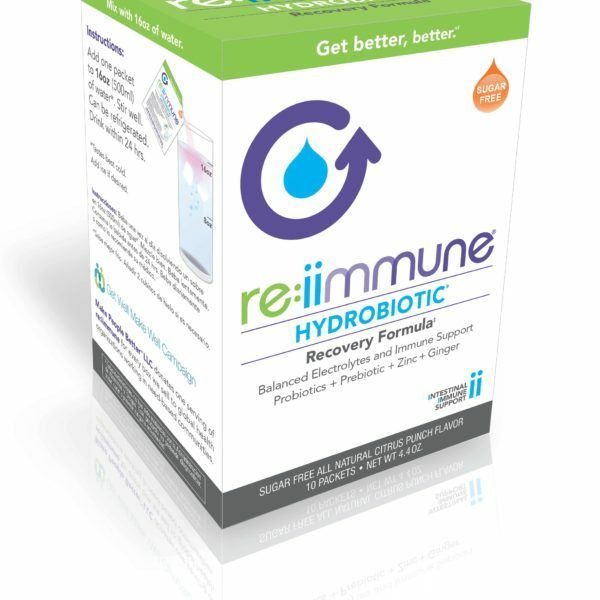 re:iimmune is formulated with balancing electrolytes, a multi strain probiotic complex to help support the intestinal immune system, a prebiotic to help promote growth of good gut bacteria, L-glutamine as a co-transporter and helping with tissue repair, zinc to help promote immunity, and ginger to help reduce nausea.